As the season comes to a close, I am trying hard to execute a noble, graceful release of the luxury of extended daylight, attentive trout, and time on the water with family. 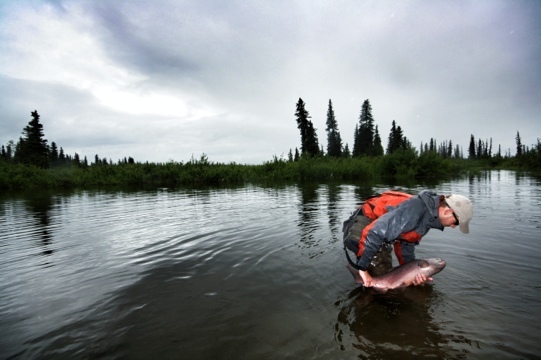 I have to admit, I am less dancerly in my undertaking than our friend and guide, Drew, pictured here releasing an Alaskan beauty. Are you in Alaska fishing or in Bethlehem?